So Dale’s birthday was last week. I made him a cake and bought him a couple of presents that did not arrive in time for his birthday! GAH! 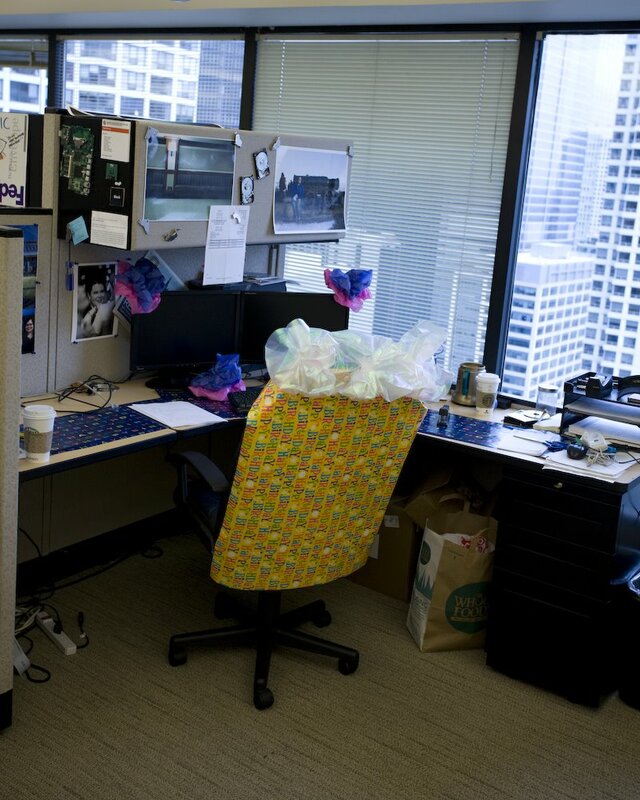 Happily, his coworkers made up for my hugely sucky planning! 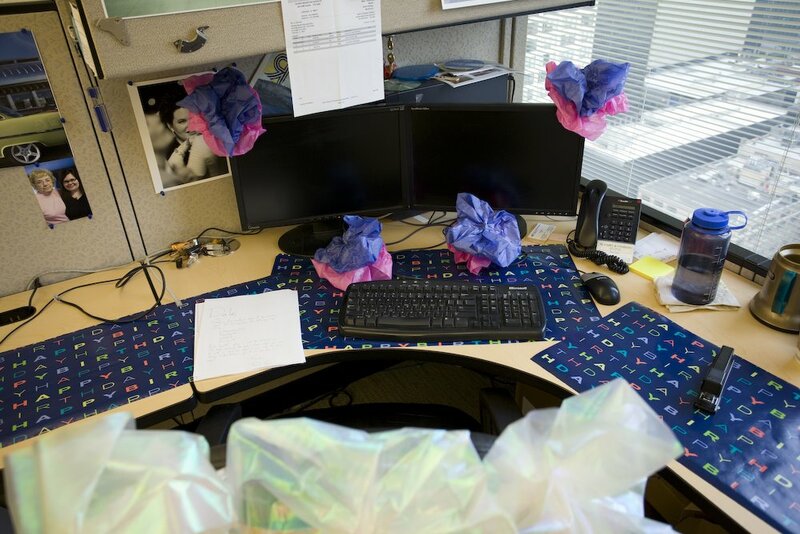 They decorated his cube! And his desk. And then took him out for his favorite–sushi–for lunch. Thanks Armi and Caroline! I appreciate you picking up my slack. Dale picked Pizza Fusion for his birthday dinner. Organic pizza and a gorgeous garden salad…yummy. One of his presents STILL HAS NOT ARRIVED IN THE MAIL! I can’t take it. Anyway, we’re also going camping this weekend as part of Dale’s b-day celebrations so we’ll share pix of that adventure later (after it happens, natch).